It’s week 3! If you are just joining us…jump right in! Fitness, Nutrition, Scripture! We are reversing the order this week and starting with scripture! Pick a motivational verse! There are many but this should be personal to you and your journey. I’ve had several for different circumstances. 1 Cor. 15:58 is my go to when I need to remember to not back down from serving the Lord. Heb. 12:1-2 is my go to for training in athletics. If you have trouble choosing one, leave a comment and we will help! Run the race, keep the pace, keep your eyes on Jesus! Take a picture of everything you eat for a week. You may realize when you “see” what you are eating that you may want to make some changes! Grab the pic and share on your social media pages! Why take the challenge with others? One weekend after completing a 5K race, a sweet Faithfully Fit sister leaned over and said, “Thank you, I couldn’t have done this without you”. 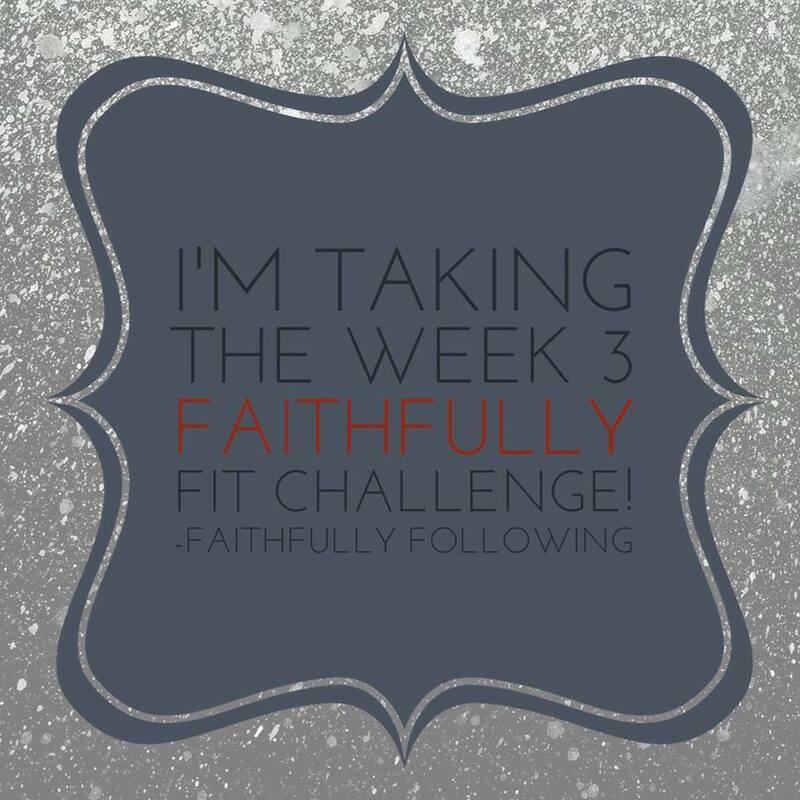 Everyday, every week, that is what Faithfully Fit is all about! Sitting in the floor, telling others to run the race, to keep their eyes on Jesus, so they know the one who finished the work of the cross. Every week we sweat together so that we may pray together. We laugh together so that we may cry together. We love together so that all know that they are loved.